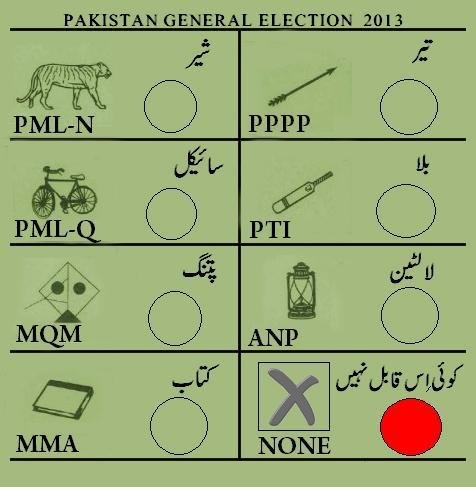 Elections are taking place on 11th May 2013 in Pakistan after long wait of 5 years. these are the signs of different parties in Election. My Favourite party PTI is having sign of Bat.